The success of your bakery store, Coffee house or any other business has a lot to do with its online presence. This does not mean that you have to be a professional web designer to come up with a fancy website. WordPress has made everything a lot simpler than you actually think, with its extensive range of niche specific themes. If you are looking to create a website for your food related business, then by choosing to work with WordPress you are opening up a whole world of possible website developments without having to resort to hiring an professional ( and possibly expensive ) company to create the site for you. With WordPress you can choose to install it yourself with a couple of clicks, or you could choose a managed hosting company to do it for you. Then you simply need to choose a suitable theme which will be the basis of your site. 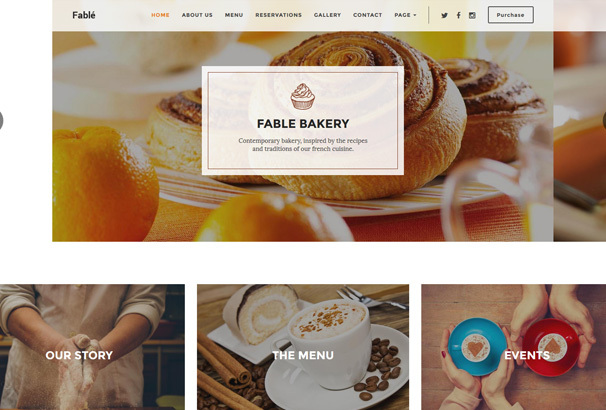 In today’s article, we will tell you about 30 Best WordPress Themes that have been designed especially to meet the needs of a bakery website. You can even use these themes to design a website for your Coffee Shop, Restaurant, Fast Food Joint or any other similar kind of a website. All the themes in this collection are thoroughly responsive and come with great support. So, let’s get started. 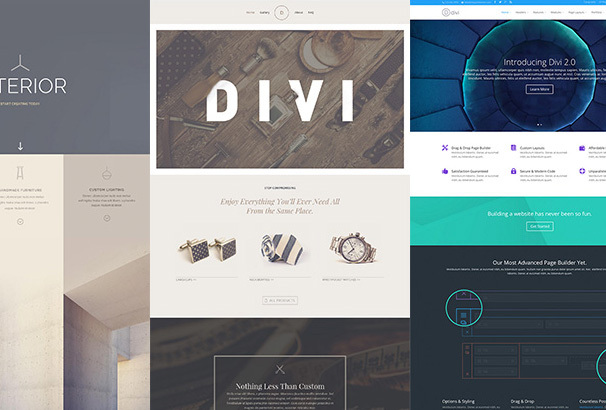 Divi is one of the most versatile themes available, in the WordPress market. With the Divi Builder, you can create some really appealing layouts, for your blog or business website. The theme offers you all the ability to create truly modern and unique websites by creating them visually. You can also use it to transform your site into an online store and start selling your goods instantly. The best thing is that, with the powerful shortcodes and visual editor of Divi, its possible to create your site however you like by dragging and dropping components and placing them where you like – you will never have to touch a line of code. 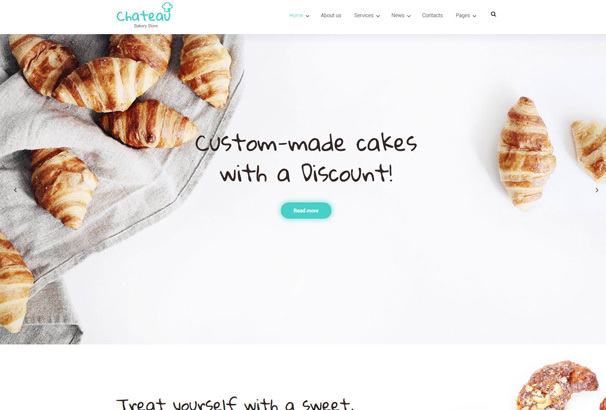 Chateau is a fully responsive, extremely light-weight and highly modern WordPress theme, that is perfect for your bakery site. The theme comes with an advanced custom drag-and-drop page builder that is pre-loaded with more than 25 modules, a library of presets, and tons of other customization options. 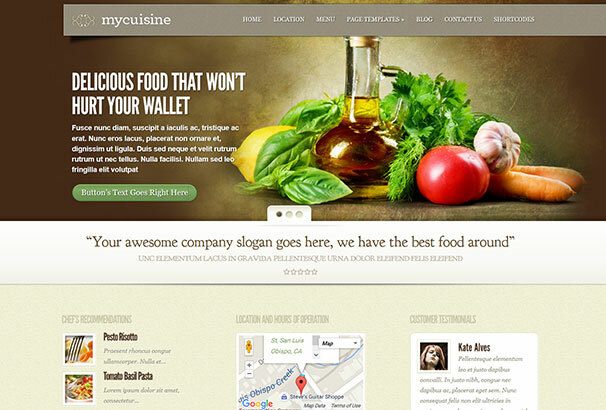 MyCuisine is yet another fantastic WordPress theme, that combines robust features and great look. The theme has been designed specifically to meet the needs of food joints, restaurants, eateries and the like. This theme is surely gonna give your site a very striking look. 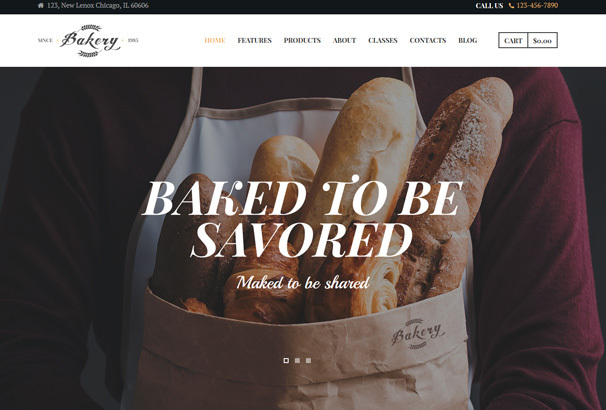 Bakery WordPress Theme is one of the most modern looking themes that can help your bakery get all the attention from people who love bakery food. With a highly customizable design and tons of amazing features, this is one of the popular themes in the market. Pastries is very flexible and can be used with much ease by both experts and novices alike. You can use the simple admin panel that comes with advanced theme options to make your changes. 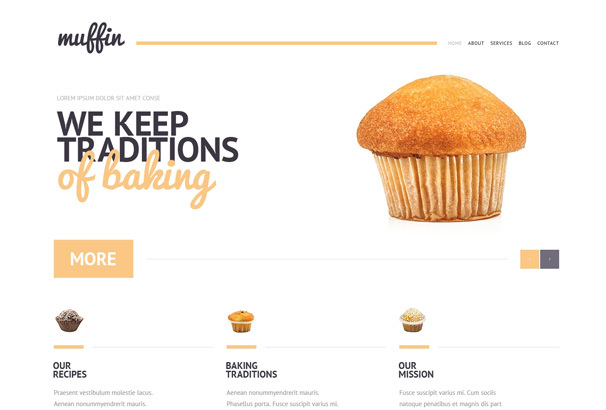 Muffin is a wonderful theme that is jam-packed with all the features needed to create a modern bakery website. The theme comes with a 2 column layout, social share option, Google Maps integration option, an easy to use admin panel and much more. Muffin is compatible across all modern browsers and is responsive in gadgets of all sizes. 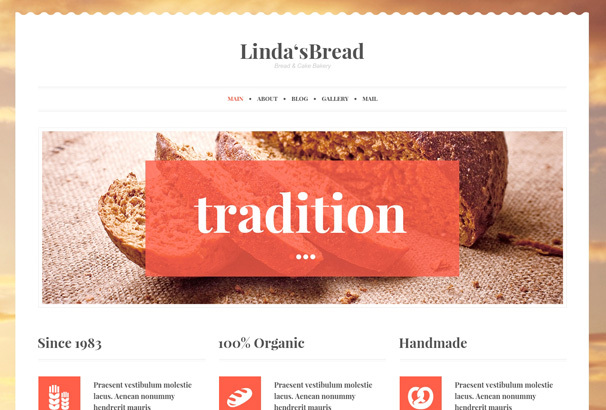 Linda’s Bread is another great theme that can be used for creating your bakery site. This responsive theme tags so many amazing features that you will definitely fall in love with it. The theme is WPML ready and is compatible with both audio and video files. You can also have your specific blog, upload a favicon, add testimonials of your clients and do a lot more to make your site appear in the top list. 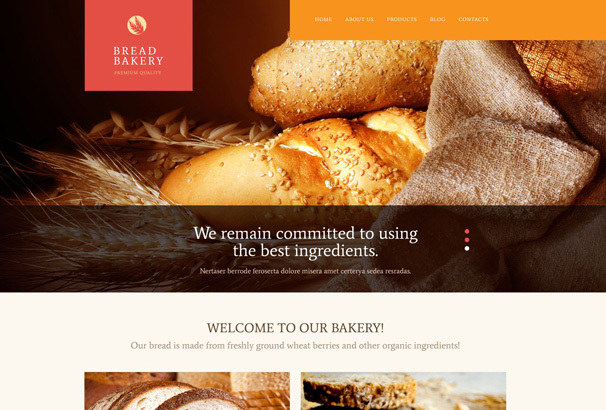 This is yet another super responsive and highly flexible WordPress theme that is a perfect fit for bakery sites. Using this theme you can talk about your team, your services, add your testimonials etc in the custom post types. The theme has been optimized for search engines and is WPML ready too. This easy to use theme comes very well documented and comes with great support. 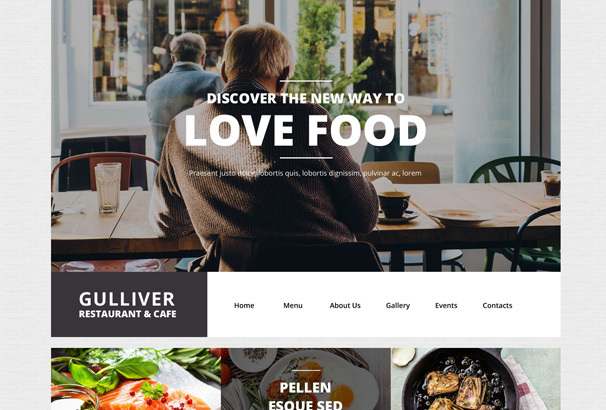 Gulliver is one theme, that surely deserves to be in our collection of Bakery themes. The designers of the theme have made use of some of the most powerful codes in creating it. This makes it all the more easy for anyone to use it without having to do anything with codes. The users of this theme has expressed great satisfaction with its looks and features. 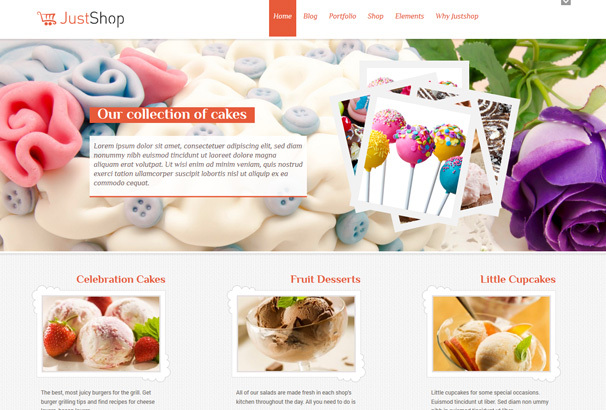 Bakery & Cakery is one of the best selling themes that has bagged a fancy 4.7 star rating from its users. The theme offers you with 2 different menu types, 16 Custom Visual Composer Shortcodes, 650+ Google Fonts, Maintenance & Coming Soon Mode Page, great Parallax support and much more. Check out this amazing theme too. With Cherry Framework used in its core, the theme is flexible enough to fine-tune each of its elements to suit your needs. For ease of use, you can turn off the options that you are not using. The theme is highly responsive, greatly professional and absolutely easy to use. 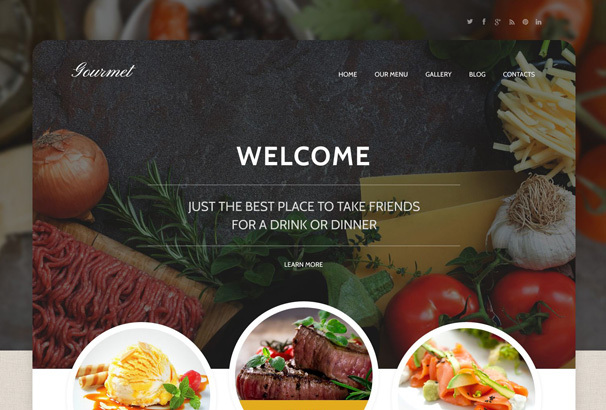 Grain & Knot is a thoroughly responsive, highly advanced, visually appealing and feature rich WordPress theme that is a perfect choice for your restaurant website. It comes with tons of amazing features that will help you create a fancy blog, attracting every visitor directly to your restaurant. Bakery is another amazing blog that you surely need to know about. The theme not only has a striking look but is also highly advanced in terms of its features. It is compatible with tons of plugins that you will definitely need to build a modern website. It also offers you with the possibility to transform your site into an online store by using a WooCommerce plugin. 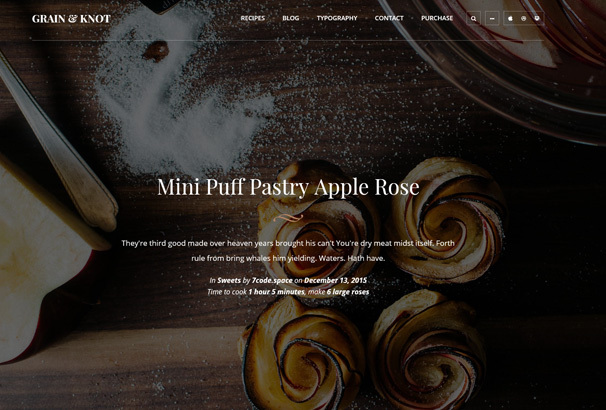 Try out the Sweet Life WordPress theme. 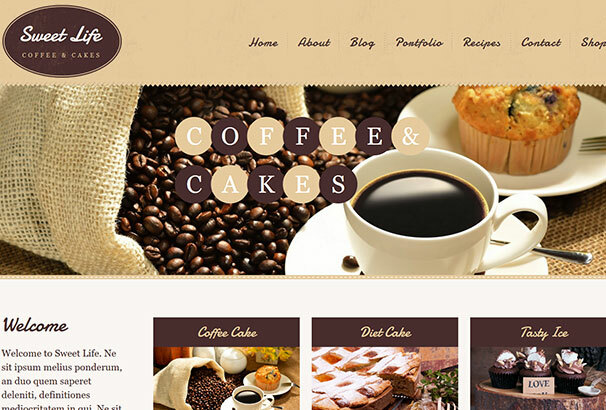 This theme will do the right amount of justice to you coffee house or bakery. It comes with great custom page templates, great widget area, WooCommerce support, Premium Soliloquy Slider and a lot more. 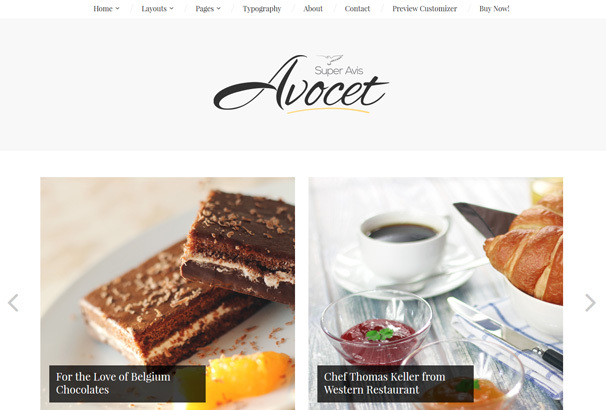 Avocet is a clean, responsive and feature-rich WordPress theme designed to meet the needs of a personal blogger. 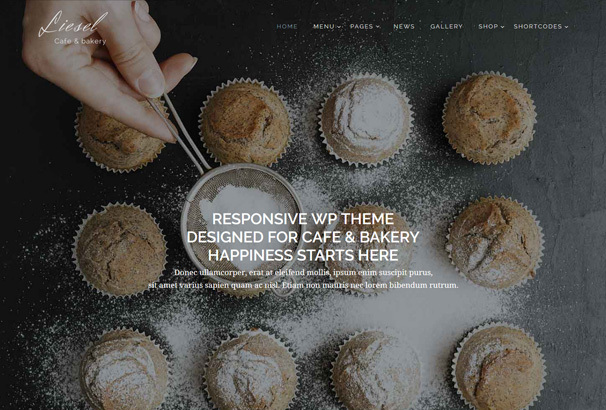 You can use this theme to create a blog for your cafe, restaurant, fashion, lifestyle etc. Avocet is compatible across and works brilliantly with the latest versions of WordPress. Style up your blog with the Fable WordPress theme. It comes with both wide and boxed layouts, various fancy fonts, color schemes, tons of amazing pre-built plugins and a lot more. You can also add the Contact Form 7 in your blog. The theme comes beautifully documented, so you won’t find any problem using it. 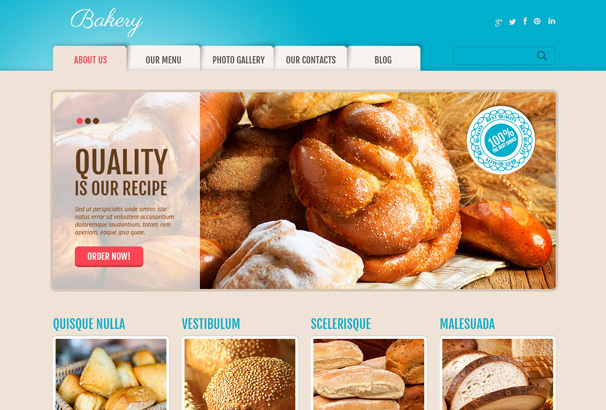 Tasty is an premium WooCommerce enabled Bakery WordPress Theme, that comes with 2 pre-built templates. You also get to use a free Visual Composer and a Revolution Slider that comes tagged with it. 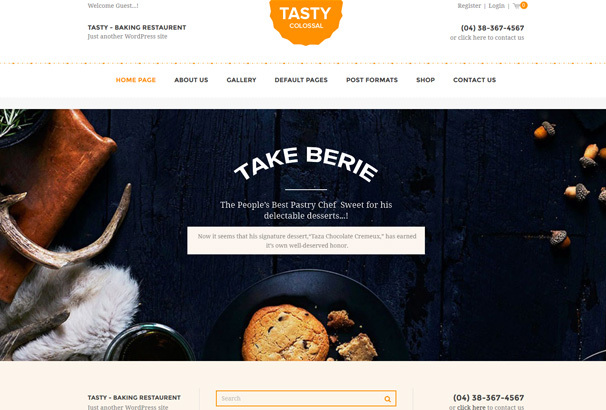 The theme has 2 different styles for the restaurant menus, builtin contact Form and alot more. Food, as the name itself suggests, is surely a great option to use for food blogs. Be it a restaurant blog, a cafe blog, recipe blog or anything similar. You will love the design it has and the features it offers. 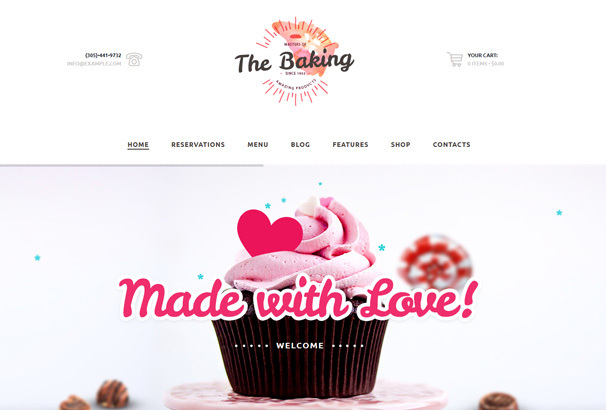 This is one of the cutest bakery WordPress themes, that is perfect for blogs that would want to display their creative bakery skills. The theme comes with a one-click demo import, that allows you to have your site up and running with just a single click. You can manage your content easily through the powerful drag and drop page builder. Organici is another advanced WordPress theme that you will easily find in the ThemeForest portal. 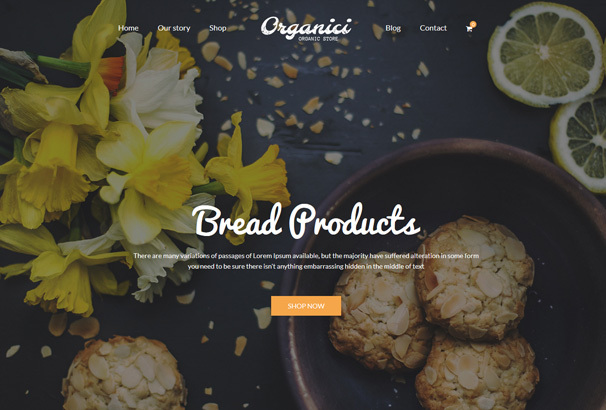 Perfectly designed and developed for all kinds of Organic Store, this theme has bagged a 4.8 star rating from its users. Whether it is a cafe, a bakery, a dining place or a small food joint, Liesel is a fantastic option that you can opt for. The theme is compatible across browsers and with different plugins. It comes with a flexible WordPress Customizer, Parallax support, Portfolio galleries, Revolution slider and more. 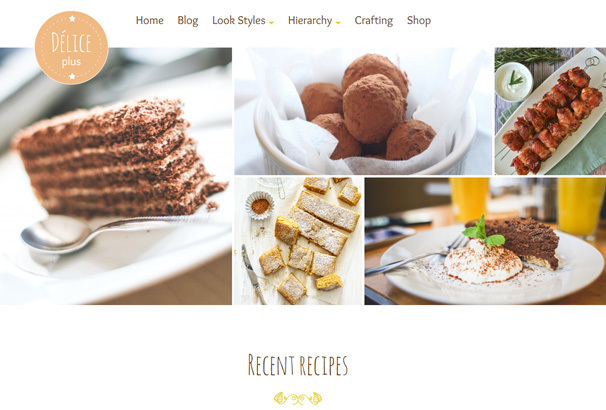 Delice is an amazing theme for gourmet chefs, food bloggers, and recipe blogs. It comes with an extensive list of modern features and customization options using which you can design a fancy blog. The theme comes with WooCommerce support and has a very friendly support team to help you with your doubts and queries. 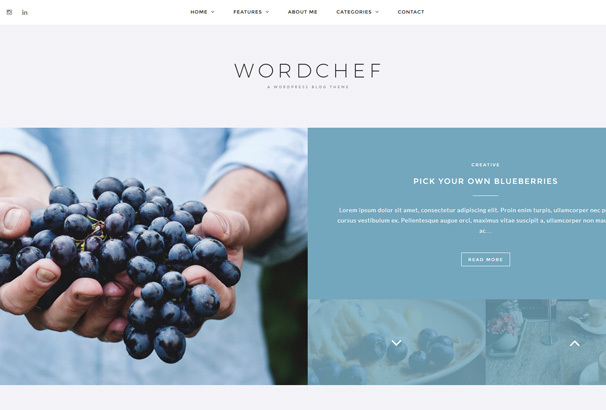 WordChef is a clean and minimalistic WordPress Theme from Creativemarket. This theme helps you to build a nice clean blog with the focus mainly on your content. It comes with 7 blog layouts, various sidebars, a number of post formats and page templates, RTL support, Contact form 7 support and much more. 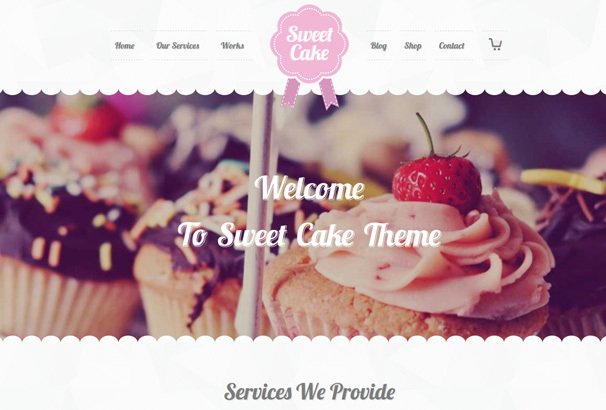 If you are into baking cute cakes and pastries, the Sweet Cake WordPress Theme is an awesome option for you. The theme comes with fantastic features and great plugin compatibility. 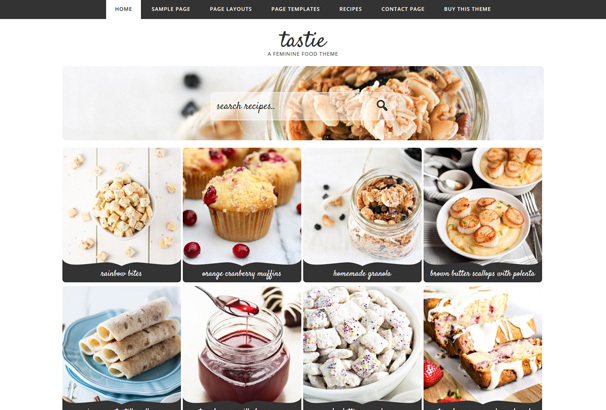 Tastie would look good on a bakery blog no matter how big or small you bakery business is. 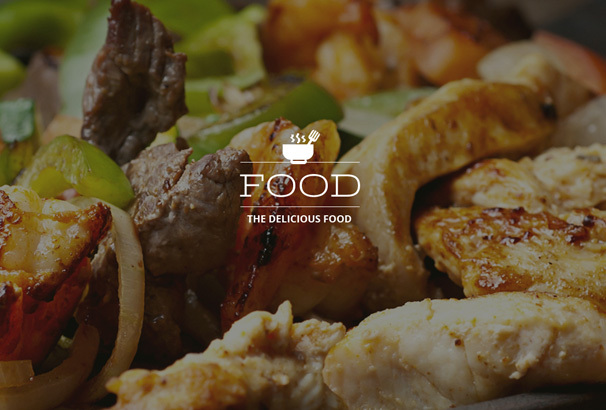 The built-in images of the theme is sure to make your visitor’s mouth water. That is surely gonna work for your business to flourish. 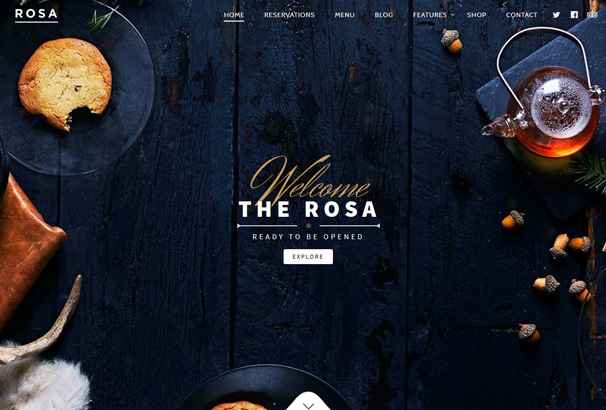 Tell the stories of your cooking experience in an enchanting way with the dynamic ROSA WordPress theme. This theme will also look classy on a fine dining restaurant site. 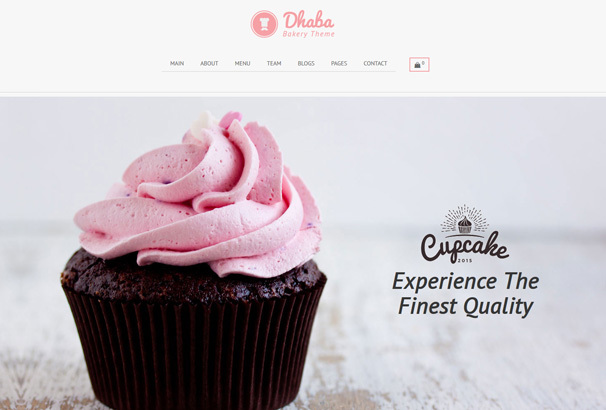 Dhaba is a super responsible, visually appealing, cross browser compatible WordPress template designed specifically for restaurants, bakeries and coffee shops. It offers you the easiest way to start selling off your products directly from your website. 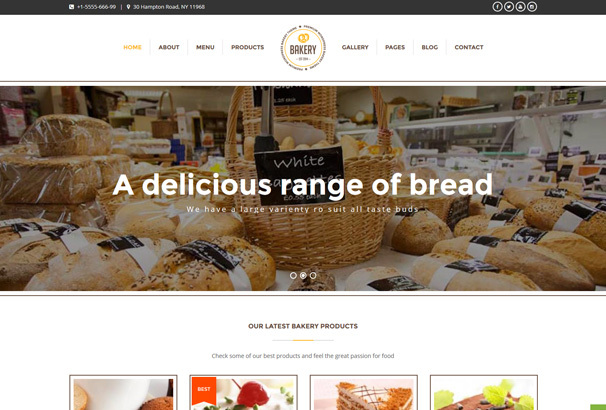 JustShop is an ultimate WordPress theme for bakeries, cafes etc. The theme offers 6 modern header styles, 6 gorgeous color pallets, free installation and setup, extensive documentation and 5-star support, auto demo import and much more. 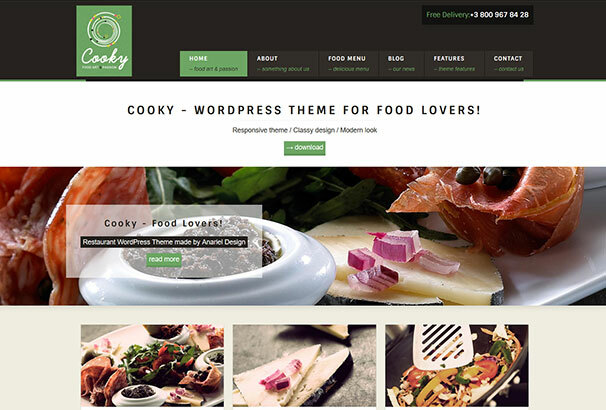 Cooky is a super responsive and flexible WordPress theme that has all modern features for designing a great restaurant or a food joint blog. With beautiful home page demos, color and font options and tons of other features, this theme is one of the most visually appealing themes for a food blog.